Although our house can not be considered small by any means (2,200 square feet), the living room is pretty packed with a sofa, two chairs and the TV. 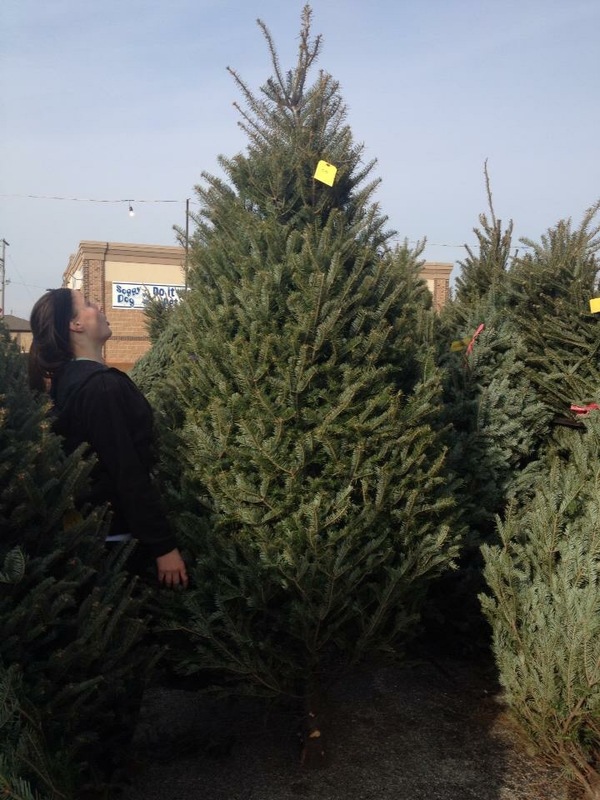 There is no room for a Christmas tree. Ditto for the dining room. So this year, when I saw a tree advertised as a “pencil design,” I saw it as an answer to our Christmas tree dilemma. So, like I said earlier, the pencil tree seemed like the perfect answer to our tree problem. It might be 7 feet tall, but at less than 2 feet wide at its widest, it fits perfectly in the hallway that opens to our dining room. It’s fake so there are no worries about watering it or needles falling all over the floor. It’s pre-lit, so we didn’t have to unsnarl any of last year’s lights to hang on it. It required absolutely zero help from husband, so that makes it perfect for him. Best of all, the tree is really cute in a Charlie-Brown-meets-Toy-Story-sort-of-way. 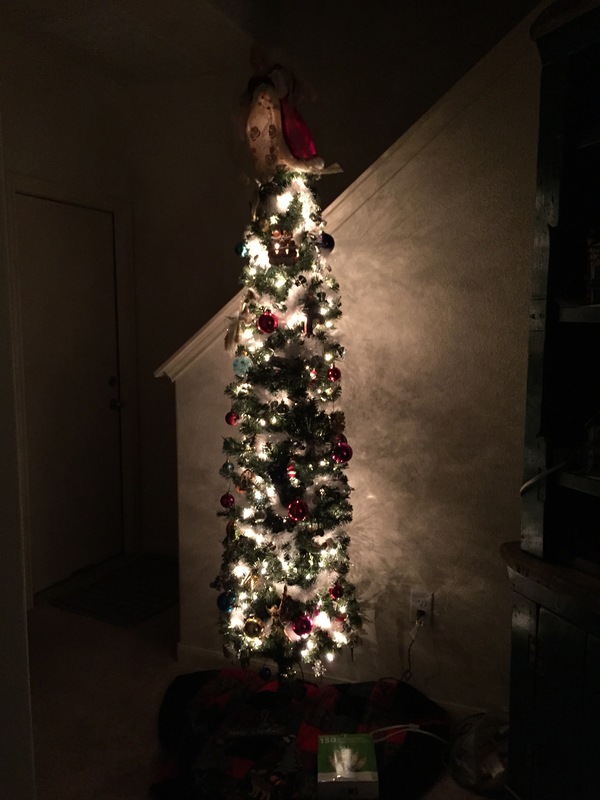 Yes, we realize the angel on top is kind of big, but we don’t care. It’s our angel and we love it. It fits perfectly. Just like it was meant to be. 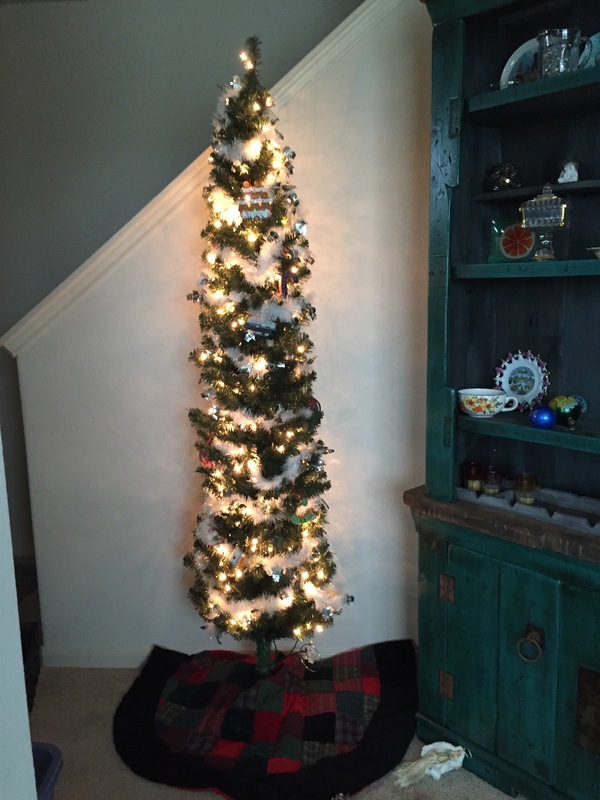 This entry was posted in Holidays and tagged Christmas trees on November 30, 2015 by Julie Riebe. It’s beautiful and just the right size! I see your hutch next to it which turned out great (it is the one isn’t it?). Our tree was down-sized with a hack saw after the remodel (we lost a high ceiling), and so it continues to add festivity to the living room for the 17th year straight. Yep, the new hutch is right next to the tree. And it gives me the opportunity to display the Christmas village pieces husband has bought me over the years. I wasn’t able to do that last year for the first time in about 8 years. Our Christmas is very festive this year!